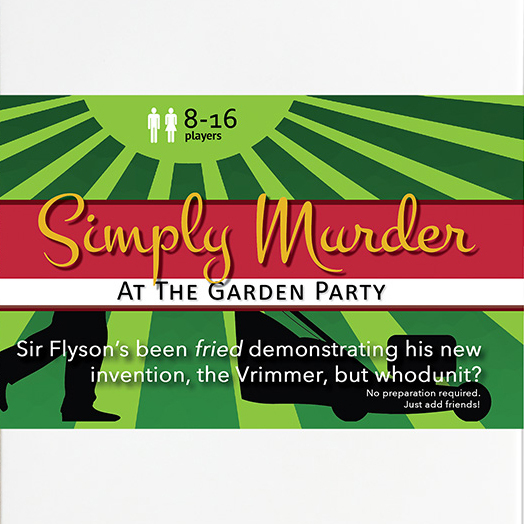 Simply Murder at the Garden Party [Download] - �.99 delivered. Sir Richard Flyson is holding an exclusive garden party and barbeque at his summer residence to demonstrate his latest invention - a vacuum powered strimmer called the Vrimmer. But when Sir Flyson flicks the switch - well, let's just say the sausages aren't the only things that got burned. It looks like murder... but whodunit? This game is also available to purchase ready boxed in a stylish gift tin - click here to view.